PT Dirgantara Indonesia (PT DI) has entered into an agreement with Airbus Military for the supply of nine C295 military transport aircraft along with spare parts and training support to the Indonesian Air Force. The $325m contract also includes the manufacture of the tail empennage, rear fuselage and fuselage panels, as well as work packages for the development of Computer Based Training systems. 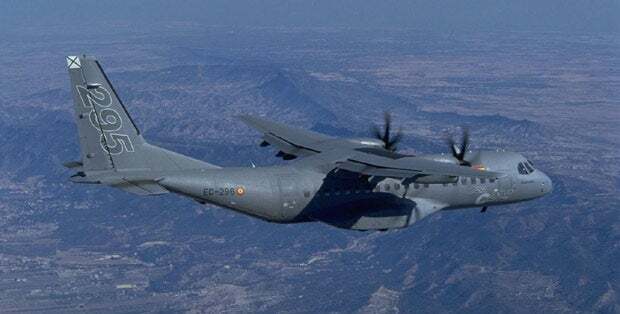 Additionally, the two companies will also establish a service and delivery centre and a final assembly line in Indonesia along with a joint venture to market the C295 in the region. Indonesian defence minister, Purnomo Yusgiantoro, said: "The C295 provides the ideal capacity to respond to Indonesia´s current and future military and humanitarian transport needs". Designated as CN-295, the aircraft will be operated by the Air Force to conduct variety of roles including military, logistical, humanitarian as well as medical evacuation missions. Powered by two Pratt & Whitney PW127G turboprop engines, the C-295 is an EADS CASA twin-turboprop tactical military transport aircraft designed to conduct tactical airlift, search & rescue (SAR), and maritime patrol and environmental surveillance missions. The C-295 is a stretched derivative of the CN-235 transporter, with characteristic high-wing, rear-loader design which allows for easy loading of mission pallets, passengers, cargo, and litters for medical evacuation, communication and logistic duties or paratrooping missions. The first aircraft is expected to be delivered to Indonesia air force in late 2012, followed by the final handover in mid-2014. Launched in 2001, the aircraft has been sold to customers and operators in Algeria, Brazil, Chile, Colombia, Egypt, Finland, Jordan, Poland, Portugal and Spain. Image: Airbus Military partners with PT Dirgantara Indonesia to supply C295 military transport aircraft to Indonesian Air Force.